Portland Velocipede is the city's fifth bicycle shop, and its owners are optimistic in a bike-friendly town. PORTLAND – With its brick walls, tweed riding jackets, and pricey bikes from the Netherlands, Portland’s newest bicycle shop is a veritable bike boutique. 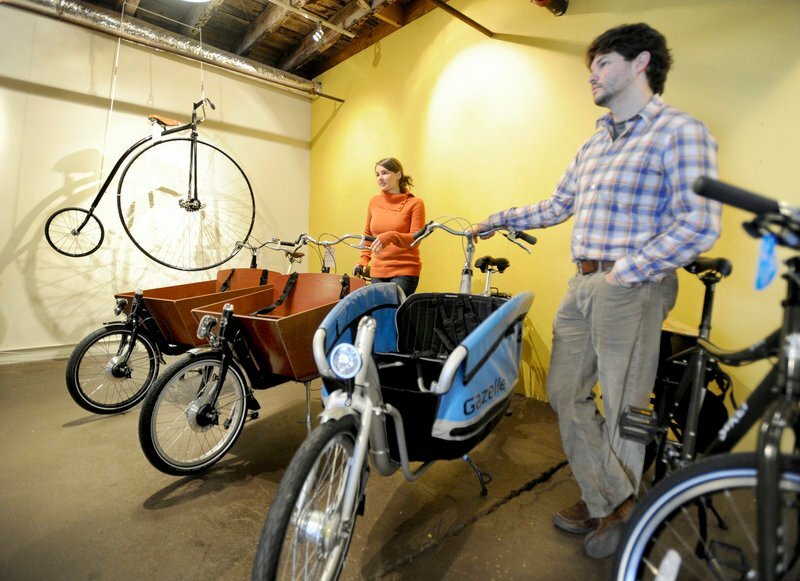 Yet Portland Velocipede on York Street — the city’s fifth bike shop — was opened by owners confident they can make a go of it during a recession. And remarkably, Maine bicycle advocates agree. Bicycle and trail advocacy groups have pushed to breed more cyclists in Maine, and experts say work done by the state to build bike lanes and pathways in Portland has set the stage for this green-transport movement to grow. Stewart rattled off a long list of projects to prove it. In the past year, he said, bike lanes went in along three major high-traffic roads in Portland. Another three projects already in the works — a bike and pedestrian path through Bayside, the bike lane planned for Veterans Memorial Bridge, and the bike lane expansion slated for Tukeys Bridge — will further cyclists’ ability to travel across Portland free of traffic. At least three other bike-related projects in Portland stand a good chance of being funded, Stewart said. All of this bodes well for Portland Velocipede, which arrived to fill a specific, fun niche. Their bikes are priced between $400 and $1,400. Some are hand-built while others are utilitarian, allowing riders to carry children, groceries, even surf boards. Kitchings said she and Cridler don’t have their sign up and have done little advertising outside of social networking sites. Their Web site (portlandvelocipede.com) only went up Friday. But Kitchings has faith Mainers will find their store and see a need for casual urban bikes that focus more on comfort. Despite being a fraction of the size of other cities with speciality bike shops like New York City and Seattle, Portland already has the infrastructure and interest to support growth in the bike industry, said Allison Vogt, executive director of the Bicycle Coalition of Maine. 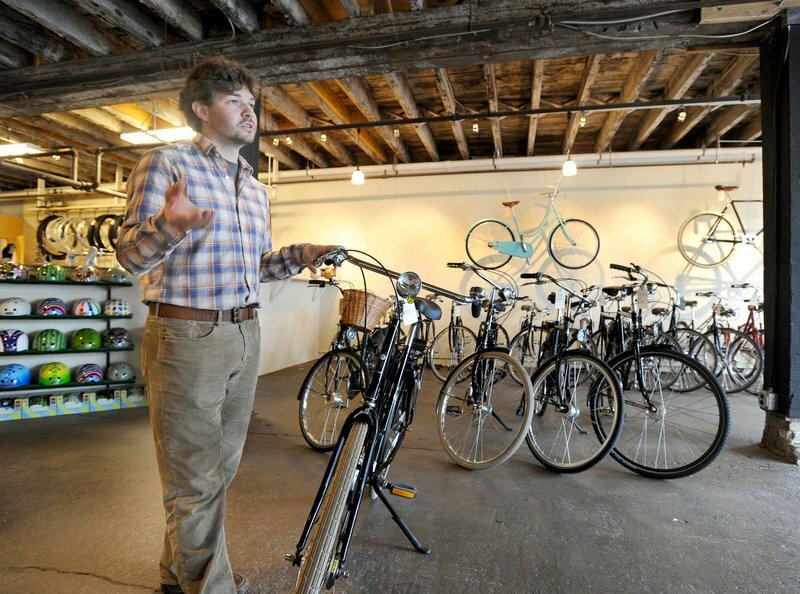 “I think if we can support five shops in the city the size of Portland, it means something about what bicycles mean to the people of Maine,” Vogt said. Strangely enough, even Kitchings and Cridler’s competition thinks so. “Portland is certainly a bike-friendly town. If anything, it will help put Portland on the map a little better as being bike friendly,” said David Brink, co-owner of Cycle Mania. 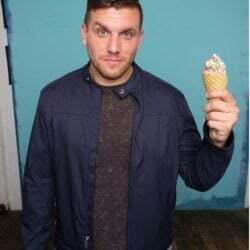 “I hope a lot of guys who buy road bikes from us, a lot of bike enthusiasts who have four or five bikes, put one of those bikes in their quiver.